HUNZA (92 News) – PTI chairman Imran Khan has alleged that Prime Minister Nawaz Sharif and PPP co-chairman Asif Zardari have become billionaires by taking their turns, but the people’s fate could not be changed. 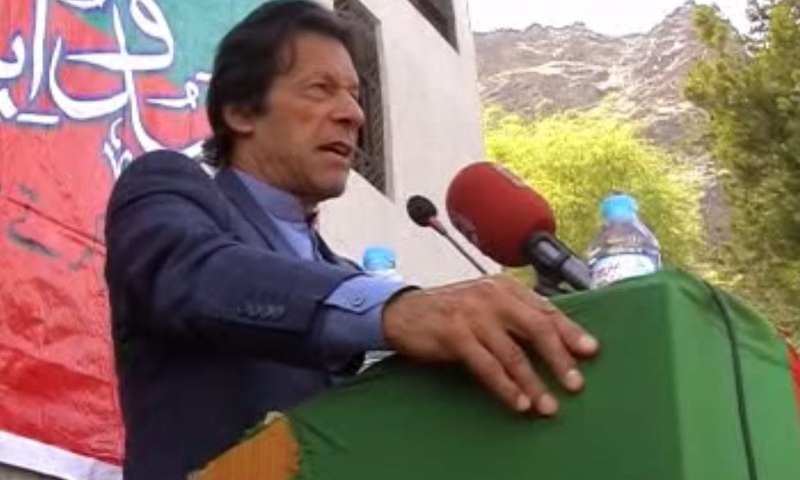 He said that the rulers are purchasing the conscience of voters in Gilgit-Baltistan. “Corruption records were established during the PPP government and the PML-N government is trying to break them,” he said. The PTI chief said that the job of MNAs and MPAs is legislation, while public problems are resolved in the local bodies system. “Only this system (LB) will be the source of country’s survival,” he said. Imran Khan said that a majority of the sit-in participants was women. “I hope that women will lay the foundation of change in the Gilgit-Baltistan election as well,” he said. He said that the PTI would start mega power projects and eradicate unemployment if it formed the government in Gilgit-Baltistan.